I made my sister the modified version of the Lickety Split bag for her birthday. She uses it often and receives many compliments on it. (I'm so glad.) Her co-workers wanted to know where she got it and next thing you know, I was making more bags for them. 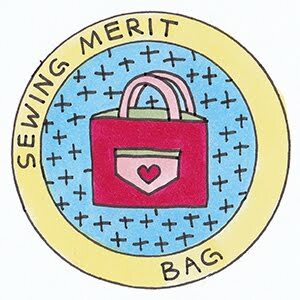 Of course with use, comes ideas on how to improve the bag. My sister mentioned that a little velcro closure on the outside pockets would be nice and a longer handle would also be helpful. 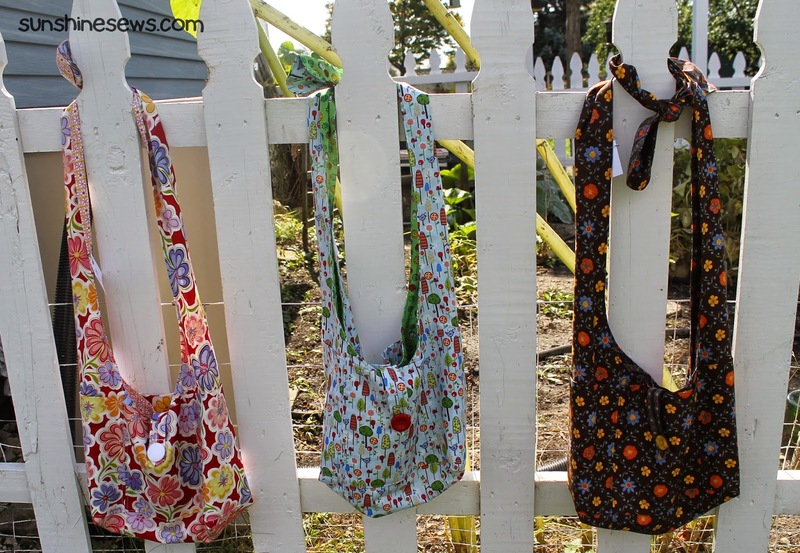 I made these three bags and with each one, the handle got longer. The brown bag is nice for slipping the strap right over my head. I hope these "improved" versions meet their needs. If not, I won't mind using them or giving them as gifts. 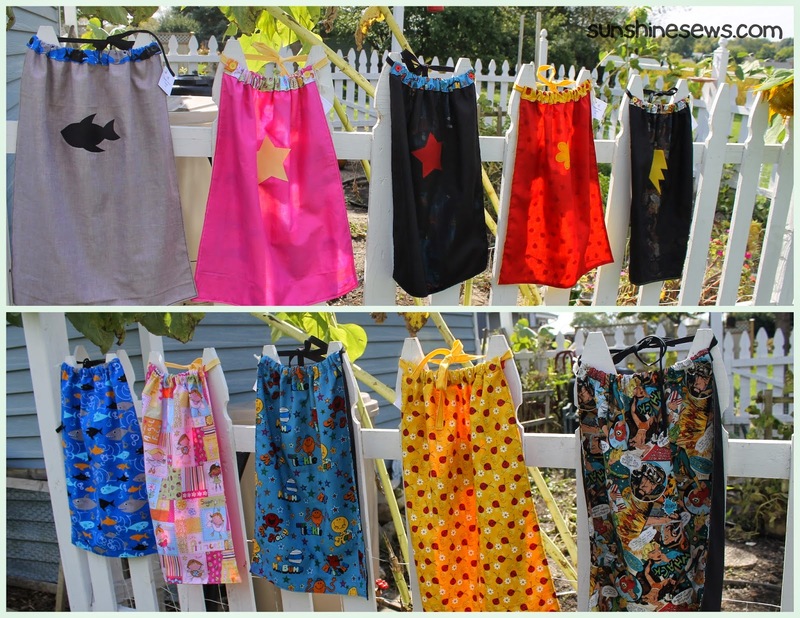 I recently had a customer order for some really small super hero capes. Even though the client did not need them until the week of October 5th, I completed all 25 of them in record time and delivered them right after they were done. 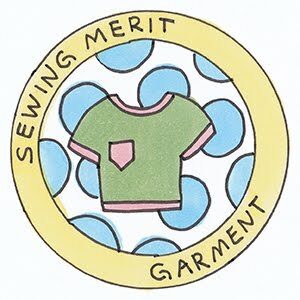 Just as I put the leftover fabric from the project away, I received notice that the client wanted 25 more! Good thing I bought 10 yards of black cotton solid fabric at the last big sale. Once I had those done I was left with a few pretty good sized chunks of black fabric. So I decided to make some super hero capes of my own. The leftover pieces I had were enough to cut two 18" x 24" pieces that would make a nice sized cape for a toddler or small child. I know this because once I had my first one completed, I tried it on both my 2 year old and 4 year old granddaughters. It worked well for both of them. 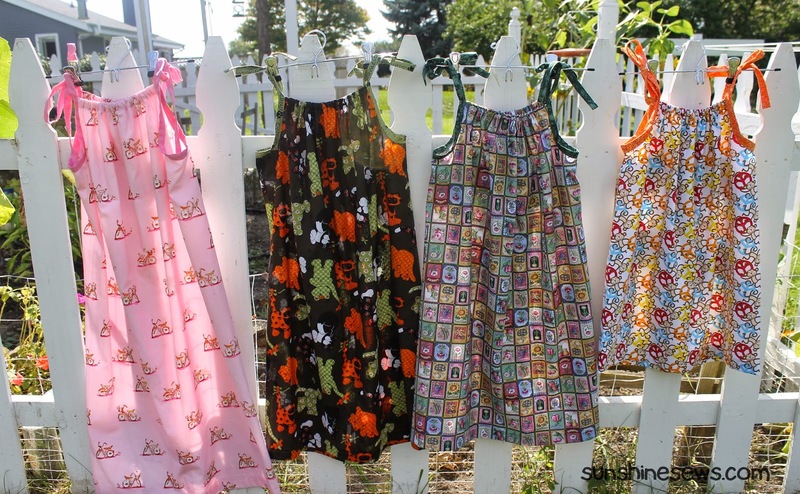 So I dug through my stack of larger scraps looking for child-friendly fabrics and I came up with these 5 capes. They were so much fun to make I think I will make some more. It's official! I take Visa, MasterCard, American Express and Discover. 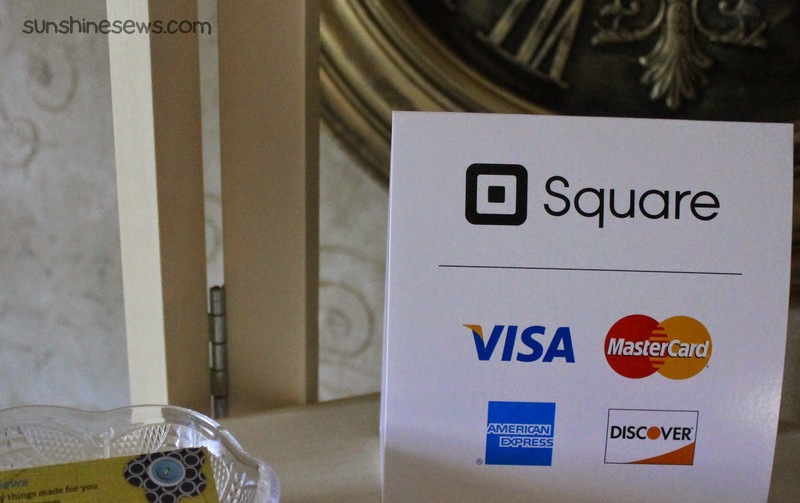 I finally set up an account to accept credit cards for my craft fairs. It was easier than I thought and the fees aren't all that bad. I hope this will increase craft fair sales. I do like the cool sign I get to put in my booth. It's no secret that I absolutely love the Peanuts comic strip and characters. So when I saw this quilt kit at my local quilt shop, I just had to have it. But as is usual, I did not complete it in time for halloween. I did make the quilt top in time, but I never made the quilt back. 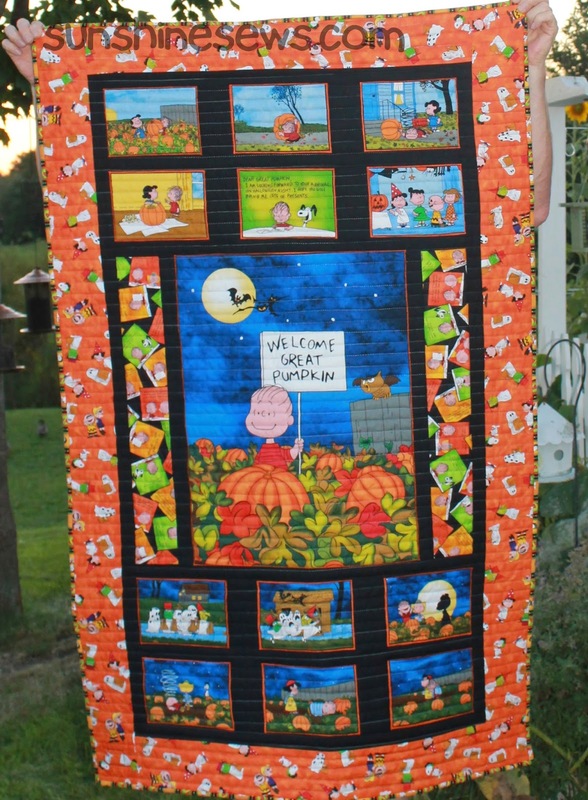 Of course by the time I went back to the quilt shop, there was no more Peanuts Great Pumpkin fabric left. So I bought some black Kona. That seemed appropriate, especially since there is black Kona between the cartoon inspired blocks. 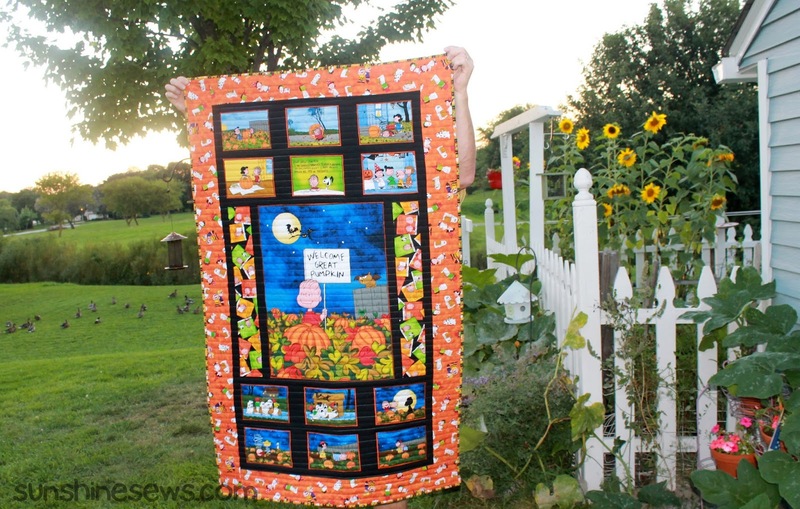 Since halloween was over and done with by the time I considered quilting this, I set it aside. And now that it is September, it's time to resurrect it and get it done. Surprisingly, I finished quilting it, attached the binding and hand sewed the binding on all in one afternoon. Here it is, in time for Halloween 2014! Yay! I made this quilt top over a year ago. 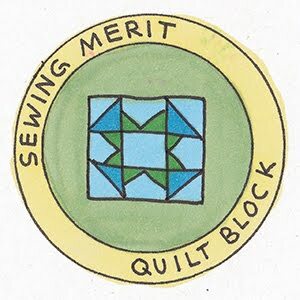 I didn't use a pattern, I just went through a bunch of photos of stacked coins quilt images that I found on Pinterest. From that experience, I decided to just throw a stacked coins quilt together. I used a jelly roll I had lying around and some Kona white. The bad part of using no pattern is that I cut up many of the strips to get a large variety of prints and colors in the 'stacks' which left tons of leftover fabric chunks. There were more leftover pieces than I used in the quilt top! Once the top was done, I let it sit because I really wanted to put all those leftover pieces in the back but I had no idea how. Then two months ago, I had a plan to use those pieces. It was quick and fun and it used them up, but again, no pattern. And even after I finished the back, again, I let it sit. The next dilemma that stalled me was figuring out how to quilt it. 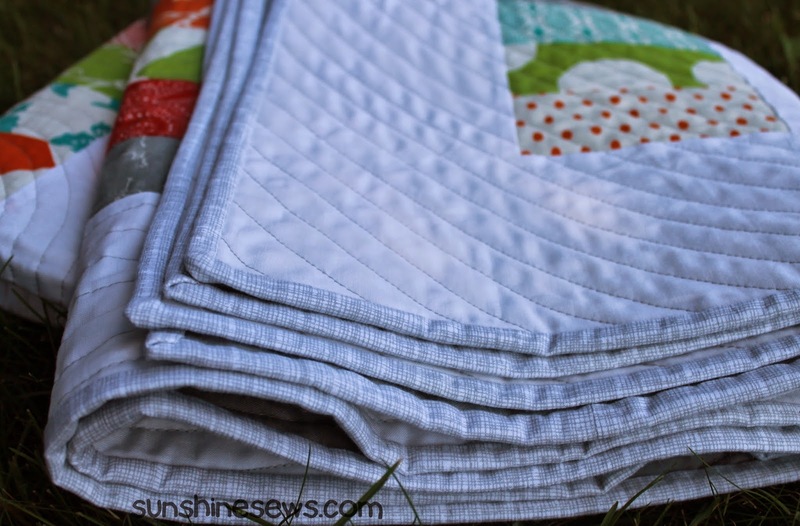 I finally chose to soften the stacks of blocks by quilting it in a circular fashion. 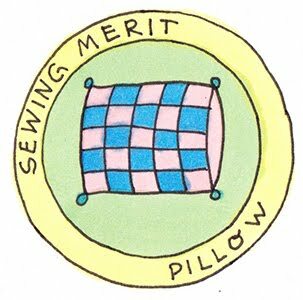 I took a compass and made a 1-inch perfect circle right smack in the middle of the quilt. 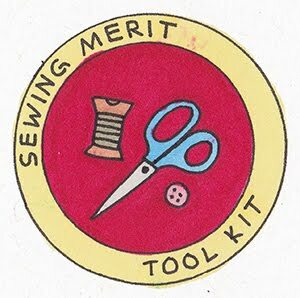 From there, I put the needle in the very center and one-stitch-at-a-time, I turned the quilt in circles until I went all the way out to the edges. It was a very time-consuming project. After three days, I finally finished quilting that sucker! After I was done, I did like how it turned out. I am certain I will quilt another one this way. I took my finished quilt outside to photograph. It was a beautiful sunny day and I really liked how I felt in the shade under the tree in the front yard of my house. So I unfurled the quilt right in the shady spot and snapped a few photos. They didn't quite reflect the bright colors in the fabric but I didn't mind, I still like the way the photos look. This experience gave me a new respect for pattern designers.